Web, Mobile, Print and OOH Marketing. 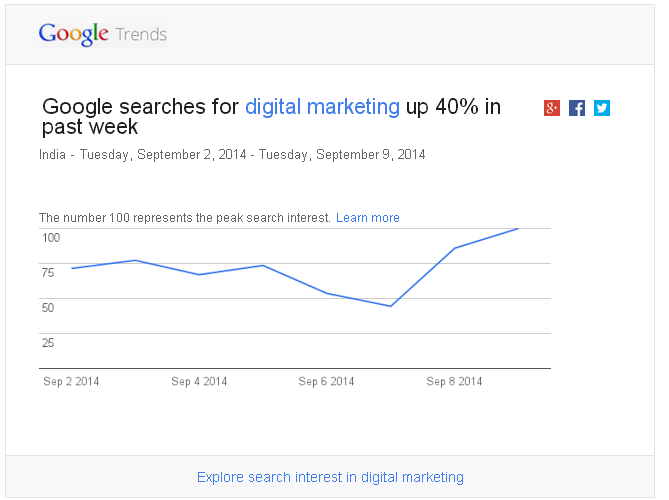 As per Google trends 40% up for searches for the Keyword "Digital Marketing". 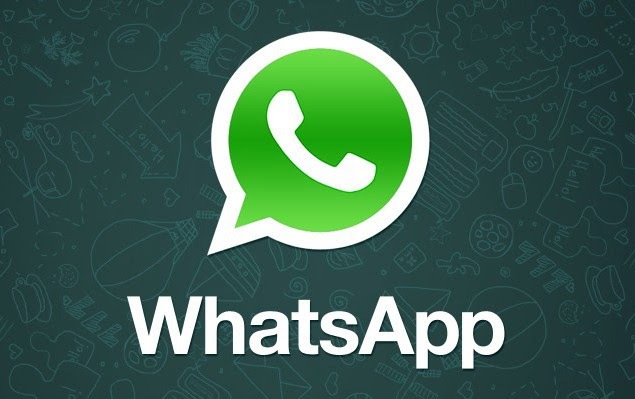 This report tells us how digital marketing is important for any business nowadays. According to most leading job portals, there is a booming demand for professional Digital Marketers in India. But the ever increasing talent gap in this industry is why businesses today fail to staff strong and competitive digital talent. Want to boost your Digital marketing Skills? This new certification is designed to recognize users with expertise in video advertising on YouTube and the Google Display Network. 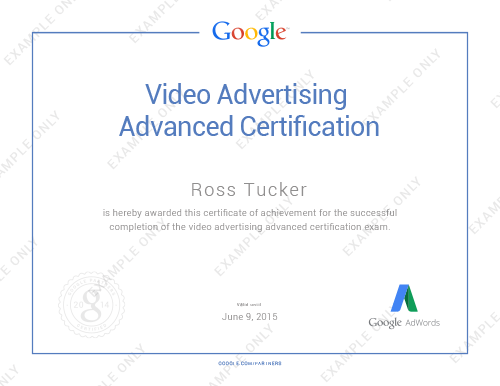 A printable HTML version of your Video Advertising advanced certificate will be available on your My profile page. 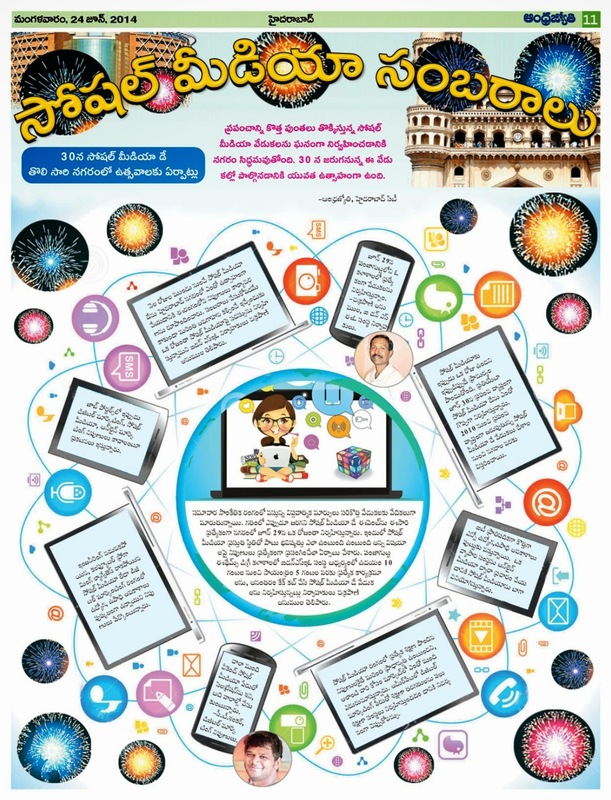 Get together on 29th June, 2014 for the Social Media Day Hyderabad. We conduct regular sessions every month and host events/ workshops. This event was an initiative to celebrate Social Media Day and hence its all about social media. You can't afford to miss it! Social Media Day is an annual global event celebrated every year in the month of June. As a leading event organizer for Digital Marketing events in Hyderabad, iDoneSEO takes the lead to educate opportunities in Social media and Digital Marketing to the visiting participants. The primary objective of this summit is to connect like minds and get networking with social media enthusiasts, professionals and talk about digital marketing trends. Care has been taken to cover topics pertaining to Social Media delivered by Social Media Experts for Beginners and SME's. 4:45 PM – 5:00 PM: Closing Note / Networking / Photo Op. Google Analytics Academy Initially launched in October of last year, the first course Digital Analytics Fundamentals attracted more than 145,000 students - and more than 30,000 finished the course and earned a certificate of completion. That’s why today Google announced the launch of it's next course in the Analytics Academy titled “Google Analytics Platform Principles." Registration is now open and the course begins March 11, 2014. On its 10th birthday Face book releases a feature all its users called look back video. What is A Look Back? 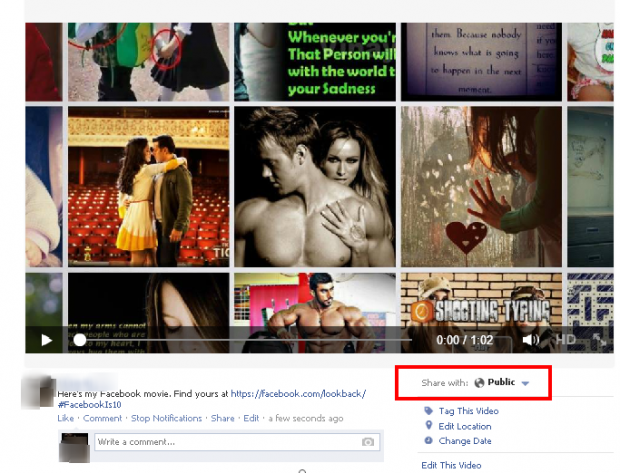 A Look Back is an experience that compiles your highlights since joining Facebook. Depending on how long you’ve been on Facebook and how much you’ve shared, you’ll see a movie, a collection of photos or a thank you card. How can I edit my movie? Click Edit above your movie. Use the checkmarks on your photos and other stories to adjust whether they appear in your movie. After you're done editing, click Update or Share Your Movie above the video player to save your changes and share the edited movie. Measure site satisfaction in real time, for free. What do the Public Understand about SEO? Is Having A Blog On Your Site Vital For SEO?